Fertility drugs have played a vital role in millions of successful pregnancies, and are an indispensable part of modern fertility treatment. 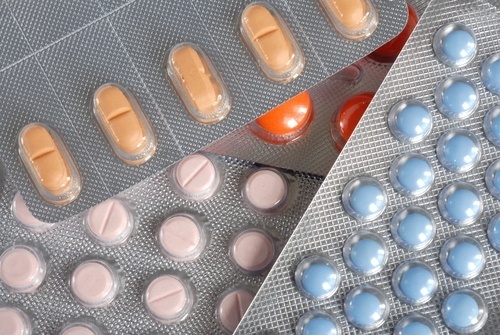 For most patients seeking medical help with their fertility, chances are high that they will encounter one or more fertility medications over the course of their treatment. At times, these drugs are used on their own, as a non-surgical fertility treatment, or they can be used in conjunction with intrauterine insemination (IUI). They are also used as a part of in vitro fertilization (IVF). These drugs are generally very safe, but like any medical intervention, they do carry some risks and side effects. Whether you experience any of these effects will depend on which medications you are taking, the dosage, and how your body reacts. While the side effects and risks of fertility medication are generally mild or rare, it is good to be fully informed about all of the possibilities so that you can help your physician keep an eye out for trouble. Of course, these lists are not exhaustive, and it is important to remember that this information is offered purely as educational material, and not as medical advice. 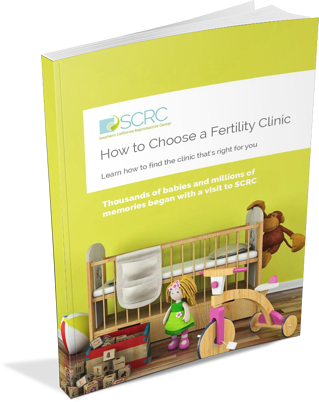 Your own fertility specialist will be able to help you understand what to expect and what to look out for. The first step is usually to start oral contraceptives to prepare your ovaries for the effects of the medication. This helps suppress undesired hormone production, so that the doctors can have better control over your cycle. Birth control pills can also help to reduce cyst formation before ovarian stimulation. Exactly how long you take the pills will depend on your personal cycle, but the average time is two weeks. Known more commonly by the brand names Clomid and Serophene, this is a course of pills given to women who are not ovulating normally. Ovulation may be irregular or not happening at all (a condition known as anovulation). This is often the case for women who are dealing with Polycystic Ovarian Syndrome (PCOS). These hormones stimulate the ovaries to produce eggs and ovulate. The typical starting dosage of clomiphene is 50 milligrams per day for five days. You typically take the first pill on the third, fourth, or fifth day after you start your period. The time period can vary quite a bit between patients so your fertility team will be monitoring you regularly for signs of ovulation. If all goes well, you can expect to start ovulating seven to ten days after you take your last clomiphene pill. For women who have extremely irregular cycles or who never ovulate on their own, it can take longer. Hot flashes, blurred vision, nausea, bloating, and headache. Changes in the cervical mucus. Increased chance of multiple births (exceedingly rare). These are separate from the hCG (human chorionic gonadotropin) injection, which is discussed in the next section of this guide. While oral fertility drugs like Clomid encourage the body to produce its own fertility hormones, injectable gonadotropins could be described as “skipping the middle man” to deliver the hormones directly to your body. Sometimes these injections are prescribed in conjunction with oral medications, so that they can work together. Learning to inject yourself with fertility medication is a hurdle for some patients, but most find that it quickly becomes a part of the day’s routine. Some may ask their partner to help them deliver the injections, which can be a valuable source of support and cooperation through the process. Injection areas include upper arm, upper thigh, or buttocks. You will usually begin injections on day two or three of your cycle and typically continue for twelve days. Most side effects are mild, although in rare cases some potentially dangerous complications may arise. Tenderness, swelling, or bruising at the injection site. Infection or blood blisters at the injection site. Risk of ovarian hyperstimulation (OHSS). This condition is when the ovaries respond too strongly to the medication. It may cause abdominal bloating and discomfort. Most mild cases resolve on their own in a few days. In rare cases, faintness or breathing problems can occur. If you are determined to be at higher risk of OHSS (some women with PCOS may be more prone to developing it), you will receive extra monitoring and may be given a lower dose of medication. Increased ectopic pregnancy (exceedingly rare). Sometimes referred to as a “trigger shot” the hCG (human chorionic gonadotropin) injection is known by several brand names, including Novarel, Ovidrel, and Pregnyl. As you can tell by the name, it is related to the gonadotropins mentioned above, but it works differently. It is used to stimulate the final maturation and release of eggs from the ovarian follicles. It is generally injected 35 to 36 hours before your egg retrieval procedure. Again, the side effects are usually mild, but if anything worries you, you should contact your team immediately. Risk of ovarian hyperstimulation (OHSS). As medications go, IVF fertility drugs are very safe, but there is always some risk involved when taking medication. It is not possible to prevent all side effects all the time, but there are steps you can take to reduce the potential for adverse effects. Good communication with your doctor: Always talk to your doctor about the best time and way to take your medications. They may be able to suggest schedules and methods that minimize discomfort. If you are experiencing side effects, don’t suffer in silence. There may be alternative medications you can try. Close monitoring by your fertility team: This goes along with clear communication. The doctor will also want to keep a close eye on any side effects to ensure that they do not develop into more serious complications. This will give them the opportunity to stop or change medications or perform other interventions in time. Single embryo transfer (SET): One of the most dangerous side effects of IVF fertility drugs is actually multiple pregnancy, which has many more risks for both mothers and babies than single pregnancies and births. Using SET, only the healthiest embryo is transferred into the uterus, drastically reducing the chance of a multiple pregnancy. Fertility drugs are a powerful tool, and can be a crucial part of conceiving for many patients. While it is never pleasant to consider the risks, being informed is important. It will help you and your team make the best decisions for your body. Be sure to talk to your physician about any concerns or questions you might have, especially if thinking about possible side effects makes you feel anxious; your doctor will be able to put your mind at ease.